Common. Scarce. Rare. Very Rare. Unique. It’s important to understand that coins can move between rarity levels depending on new discoveries. Previously unknown examples come to auction frequently, and other events such as hoard discoveries have contributed to this in the past as well. Another important point is that these upper and lower limits are estimates. Any rarity scale will be imperfect. The idea is to take rarity out of the realm of mere guesswork. The true measure of the validity of the scale can only come through time, and Dr. Sheldon’s attempt has held up well when compared with other endeavors. In 2009, Q. David Bowers proposed the Universal Rarity Scale in his book “The Whitman Encyclopedia of Colonial and Early American Coins”. The scale is expanded to include 16 divisions from URS-1 (unique) to URS-16 (16000 to 31999 known), each successive division doubling the one prior. Back in the first part of this effort to define rarity I mentioned a question that came to me from Robert Wasserman. He wanted to know how rare in general Massachusetts Pine Tree coinage was thought to be. I would say that the vast majority of Pine Tree coins in existence today are of the shilling denomination and that the average variety falls somewhere between Bowers’ URS-10 and URS-11. So for the series, the varieties most people are apt to own have around 250 to 1000 examples in existence. For some time now I’ve been considering how best to approach an article on rarity. The longer I thought (and read) about it, the more I realized how complex the topic actually is. There are so many factors that contribute to the relative scarcity of any one particular date, variety, or series. In addition, we now have something called “condition rarity”, a subset that has grown out of the advent of third party grading services such as PCGS, NGC, and ANACS to name a few. When Robert Wasserman, a reader here on Numistories, commented on my post “The Pine Tree Coins of Massachusetts” I decided the topic of rarity had to be addressed. So thank you, Robert , for the final push. Hopefully what follows will answer your questions! 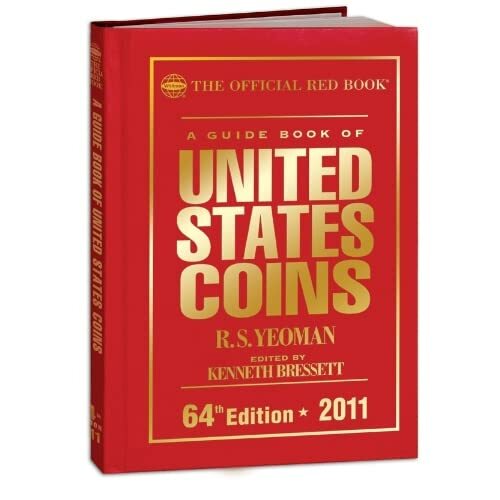 Many beginner numismatists make the assumption that the sole deciding factor in how rare a particular coin is would be the mintage figures found easily in the Red Book. But if this were the case, we would expect, for example, a 1901-S Morgan Dollar with a mintage of 2,284,000 to be about as hard to find as a 1973 Eisenhower Dollar with a mintage of 2,000,056. Here is where the concept of “surviving examples” comes in. After 110 years, how many of those 1901-S Morgans are still around? How many escaped being melted down for their bullion value as silver prices skyrocketed (relatively) in the early 20th century? Now we know there are a lot more 1973 Ikes around nowadays. Ikes were never popular as circulating currency. They were kept as novelties for the most part which accounts for the fact that, of the 2,000,056 that were struck, the vast majority are still hanging around. Let’s continue the Morgan/Ike comparison to shed some light on “condition rarity”. I’ll bet that if you decided to collect a set of Eisenhower Dollars, you would have no problem procuring an outstanding Mint State 1973 example for around 20 bucks. I’ll also bet that you won’t find a Mint State 1901-S Morgan without a lot of difficulty, and definitely not for 20 bucks! However, you could probably find a lot of Fine to Very Fine examples for around the current price of silver. Why? 1. The 1901-S (San Francisco) Morgan Dollar was used heavily in local commerce. Most surviving examples are worn down by a lot of pockets. 2. In 1901, a dollar was a third of a day’s pay. These weren’t given to a child for a birthday present or tooth fairy loot. They got used and used and used. 3. In 1973 when Grandma gave you an Ike dollar for an A on your report card, you bought your comic books, the merchant deposited it in the bank, and there it sat, almost as fresh as the day it was minted. But wait, there’s more! Sometimes this works in reverse. Let’s stick with Morgans for another paragraph. There are many dates that languished in bank vaults until the 1960’s. When these were discovered, many coins thought of as rare became quite common. And because they were never released into commerce, they are quite easy to locate today in high grade. A Very Fine example may be more difficult to find! Mint State 1881-S Morgans are easy to locate in high grades because many bags of this date never made it into circulation. A flood of silver dollars had resulted from the passage of the Bland-Allison Act of 1878 and a few years of heavy production had already met demand. So there’s a little background, but how does it pertain to Mr. Wasserman’s question? Robert wanted to know how rare, in general, were the Pine Tree coins of Massachusetts thought to be? For the answer, look for my next post where we will discuss the Rarity Scale of Dr. William H. Sheldon and the more applicable Universal Rarity Scale of Q. David Bowers. ‘Til next time! Huge personnel changes at my place of employment have placed me in the position of interim General Manager and so my free time has suffered immensely. In the meantime you have all been enormously patient with me and I thank you all for that as well as the emails and comments. First, a shoutout to all my fellow EAC members. I look forward to meeting you all in May at the 2011 Early American Coppers convention in Portland, Oregon. My wife and I will be attending and can’t wait to experience all that I’ve been reading so much about in the club’s publication “Penny-Wise”. Speaking of EAC, here are some great websites from a few EACers. If you have a love for Colonial issues, Half Cents, or Large Cents, these are great resources for coins, information and reference materials. Some include wonderful articles and stories that shouldn’t be missed. Give them a try! This is an excellent, easy to navigate site by Chris Victor-McCawley. Featured coins are accessed through the clickable links on the home page, all accompanied by large photos. Don’t miss the Fixed Price List link for a much larger selection. Coins are listed by date and variety with very detailed descriptions. Not only are all coins on this site accompanied by photos but Mr. Shawn Yancey includes personal articles, a link to his own collection, AND discounted pricing for EAC members. Join up and enjoy all the benefits Shawn offers our members! This site by H. Craig Hamling features a copper coin grading guide and a tutorial on digital coin photography. Then move on to the link www.hcraig.com for the coins, all photographed and listed by date and denomination. You’re going to love this site! Tom Deck’s articles are great. He also offers a photo service for your coins. Not only are coins offered here (all expertly photographed) but some excellent reference books are available here too. Visit this site by Tom Reynolds for reference books, colonial series, half cents, large cents, the works! Coins are accompanied by large photos and listed by type and date. Extensive offerings priced for every budget. Another Pennsylvania September has arrived with its customary cool weather, high school football games, and fall festivals. It’s this general slowdown that allowed me to begin this blog one year ago this month. At the time, I had no idea that in 12 short months my site would garner the following it has today. On September 1 Numistories surpassed the 100,000 hit mark. It makes me wonder where we would be if my posts hadn’t been so sporadic in the beginning! In the course of the past year I’ve made many new friends, some of whom were kind enough to submit stories of their own for our enjoyment. Members of the forum at PCGS.com and the Early American Coppers club have been particularly helpful. The forum is free at PCGS so if you haven’t dropped in to see the amazing array of topics being discussed there you really should. The EAC is also an excellent group to join if you have an interest in early U.S. copper. It became apparent early on that the most popular posts were the ones with a heavy emphasis on the human interest side of our hobby. We all seem to have a dash of nostalgia in our psyches that enhances our enjoyment of the numismatic pursuit. Perhaps that’s why we collect. As we grow older that connection becomes more tenuous and the presence of these small solid metal objects that we have attached significance to serves to reassure us of our power over the past. A special thanks goes out to Mr. Ron Pope. His kindness over the years has served to keep my interest in coin collecting alive. At times the mind can wander, particularly when the cash to add some new object of affection is non existent. Mr. Pope unknowingly sparked interest in new directions for me when other distractions came to the fore. And so here’s to another year of Numistories. I invite anyone with a collecting story, be it a profound achievement or a simple warm childhood memory, to please submit it to numistories@gmail.com and I will share it with this wonderful audience. Thank you! This story comes from Red Henry, a fellow Early American Coppers member. Red and I each had a coin collecting grandfather who passed a love for the hobby on to us. Enjoy, and thanks, Red, for the great story. My grandfather Arthur Joseph Henry was born in 1891 in Lake City, Florida. Known as Joe Henry all his life, he was called “Big Joe” by the family. (This distinguished him from his oldest son and namesake, who was called Joe Baby, then Little Joe, then Doctor Joe.). Big Joe attended the University of Florida, studying accounting, engineering, and law. As a young man, Big Joe enjoyed an active life. He entered the U.S. Army during World War I, and was sent to France and Germany. In the early 1920s, as a member of the Corps of Engineers, he surveyed for railroad lines in the jungles of Central America, and then walked across the State of Florida twice, doing survey work for a cross-Florida barge canal. Finally he left the army for good and married my grandmother, Evelyn Whitfield, in 1923. Big Joe and Eve moved around quite a bit early in his working career, but they settled down in the mid-1930s, living with her parents in their spacious old frame house on Calhoun Street in Tallahassee. Built in 1901 with several bedrooms and called (naturally) the Big House, the place had been enlarged over the years. One addition included a bedroom and bath at the rear of the second floor. There Big Joe and Eve lived as they raised their three sons, cared for her parents, and spent the last 30 years of their lives, while Big Joe worked as an accountant for the State of Florida. The Big House was a large and mysterious place for me to explore when I was small, but nothing there was more fascinating than what I found on a sleeping porch off my grandparents’ bedroom. There, in the top drawer of a large old-fashioned dresser, was a small cardboard jewelry-store box which contained dozens of coins. After I began collecting in 1959, my grandmother Eve gave me the wonderful box. Those coins were small round souvenirs which Big Joe had acquired during his youth and work in many countries. Apparently he just picked up whatever caught his fancy, and the sources of several of them are mysterious. The oldest coin was a small Roman bronze from the early 300s A.D., the “Constantinople commemorative” (Seaby-3890), with a nice glossy green patina. There were small, nearly-uncirculated copper and bronze pieces from the 1800s, issued by the German states. There were several small coins from Italy, France, and Austria, along with a gold ducat from Holland, dated in the 1770s. There were farthings or halfpennies from every British monarch beginning with George IV, who came to the throne in 1820, down to George V, who reigned during World War I. There were handsome nickel Cuban pennies in the box, along with small-denomination coins from the Dominican Republic. (These were badly worn, bringing to mind the desperate condition of the people there.) There was a nice silver Mexican dime with a neat rim cud. Among the U.S. coins were three copper-nickel Indian-head pennies, saved as curiosities. All these coins interested me as a youngster, for I had seen nothing like them. But none of them holds more fascination for me now than three old pieces of copper. Perhaps the most important coin in the box, by today’s standards, was an 1834 small-date cent, Newcomb-1. There is little or no wear on the coin, and it is a semi-glossy medium brown, but on the reverse there was a little residue, easily removed, of some whitish, granular stuff—perhaps the little boys, my father and his brothers, shined the coin up for fun back in the 1930s. I value it none the less for that. Another copper item in the box had a story behind it, though I did not learn so for many years. Conder collectors will recognize this 1793 Inverness Halfpenny. The lettered edge on this example reads PAYABLE AT MACKINTOSH, INGLIS, & WILSON’S. I wondered for a long time just why Big Joe had kept this coin. Then, later in my life, I learned that among his Georgia ancestors were a family named Mackintosh, from Inverness-shire, far to the north in the rugged mountains of Scotland. “Our” Mackintoshes came to this country in Revolutionary times. Big Joe must have felt confident that some distant cousin of his had issued that copper token, although he never talked much to me either about his ancestry or about any of the coins. Now we come to a case of parallel phenomena. First, let’s delve into Early American Copper for a bit, and discuss the 1807 Sheldon-271, the famous Comet Variety large cent. The “American Comet,” as we may call it, is remarkable for its die break behind Ms. Liberty’s head, which looks much like a comet in the sky. (For more details about this variety and how it got its name, see my article Which Comet was It? in the January, 1999 Penny-Wise.) At top right is a photo of that distinctive die break. Note how the break extends from Ms. Liberty’s hair all the way to the rim at about 10:00, angling down slightly from left to right. Now we come to a third item from the little box. Slightly larger than a half cent, it’s a Half Sol of the French king Louis XV, who enjoyed a long and magnificently forgettable reign long ago. The coin’s reverse bears the royal arms along with the date, 1721. The obverse features a bust of the king, his long hair elaborately styled, and the legend LUDOVICUS XV DEI gratia. So far, so good—this was all I noticed about the coin for a long time. But if we pay close attention, we will see a die break on the obverse—and suddenly it is deja vu, for we have seen nearly the same die break before. This die break extends from the king’s hair all the way to the rim at about 10:00, angling down slightly from left to right. The position and size of the break resemble the break on our familiar S-271 so much that we could say that this is, indeed, a French Comet! Time never stands still. Big Joe and Eve both died in the 1960s, and the vacant house was torn down. The lot was sold a few years later. Now a huge, modern brick residence stands among my great-grandparents’ gardens. But I kept a few things from the house. That little box of coins stayed with me through school and life, even as (in the customary way) I stopped collecting while college and work kept me over-occupied for 25 years. After I began collecting again at age 41, I incautiously sold the gold ducat and a few other items from the box to finance early copper purchases. Most of Big Joe’s coins, however, are still with me, and here they will stay. The little cardboard box is gone now, but the coins rest on a tray all their own in my coin cabinet. There are 39 of them, ranging in size from the little Roman bronze to a big piece of Chinese “cash”. Few of the coins have much value in this day and age, but there’s at least one exception. I do sometimes wonder what Big Joe himself would say if he could learn of that 1834 cent’s market value today. That must be the only item from the box that is worth much now. But sometimes personal importance and market value are a long way apart, and nothing numismatic I own has fascinated me more, or taught me more over the years, than Big Joe’s little box of coins. John Hull’s Massachusetts coinage went through three different incarnations in the 15 years from its beginnings in 1652 until the final design change in 1667. It was this design that would remain until the end of Hull’s contract in 1682. Far from the crude “NE” coins of the early mint, Hull’s Pine Tree coinage was the culmination of minting technology in 17th century colonial America. The Pine Tree design evolved over time rather than springing forth fully formed. The Pine Tree design shares a common reverse with three Oak Tree sixpence and the Oak Tree shilling variety designated Noe 14 (after Sydney Noe’s die numbering system) is the first of Hull’s coinage to begin showing the spiney branches typical of the Pine Tree design. Also, the earliest Pine Tree coins are on the same large, thin planchets common in the Oak Tree series, a result of the rocker press technology. Later Pine Trees are struck on smaller, thicker planchets indicative of the acquisition of the then state of the art screw press, this being acquired around 1675. Threepence, sixpence, and shilllings were all struck with the Pine Tree design, the twopence denomination being dropped for some unknown reason. Bowers states that the Pine Tree coins were struck in large numbers with the shilling being the most encountered of the series today. Philip Mossman relates a story about the recovery of many Massachusetts coins from the 1711 wreck of the H.M.S. Feversham. Of the 92 coins salvaged, all but 2 were of the shilling denomination, 54 being of the Pine Tree design. Without a doubt, the silver Massachusetts coinage was widely circulated in its time. John Hull died in 1683, just months after his minting contract with the General Court ran out. As early as 1684 the mint is mentioned in the past tense in newspaper accounts of the day. Hull’s coinage served the colonists well, providing a much needed medium of exchange in local commerce. The “NE” and Willow Tree coinage are far out of reach for most collectors but the Oak and Pine Tree coinage can be had in attractive though well worn condition. These survivors from the 17th century would be the highlight of any collection. In the Oak Tree coinage of 1660 to 1667 we find the only coin of Hull’s four New England series’ to be dated other than 1652. The twopence, a new denomination for the Massachusetts coinage, was authorized by the General Court on May 16, 1662 and all twopence bear the 1662 date. This gives further credence to the theory that the dates on Hull’s New England coinage represent the year the coins were authorized rather than the year they were minted. In addition to the new twopence, the threepence, sixpence, and shilling denominations continued with the new design. And not only did the design change, but it’s very evident even to the casual observer that the technique of manufacture improved greatly as well. Where the earlier Willow Tree coins were obviously hand struck we now have the Oak Tree coins being struck with fixed dies on uniform planchets. In fact, all Oak Tree coinage (and some early Pine Tree coinage) was struck in a rocker press. Minting technology took a leap to mechanization in 1660! According to Bowers, the Oak Tree term was used to describe the design by collectors at an early time. Besides the twopence, the date and legends remained the same, the tree being the only design change. Oak Tree pieces are far more often encountered than the Willow Tree and “NE” coins. Collectors who want a specimen of the Massachusetts coinage usually must limit themselves to the Oak or Pine Tree series. More on Hull’s final design, the Pine Tree, coming up! Great opportunity awaits the dedicated Buffalo variety collector, and this book is the ultimate guide in that endeavor. One look at the advancing values of the two best known abraded die varieties, the 1937-D 3 leg and the 1936-D 3 1/2 leg Buffalo nickels, and one can see the genuine need for this reference. Taking into account the increasing popularity and Red Book acceptance of these varieties, now is the time to begin your search! What are abraded die varieties? In Part One of this book Ron Pope defines traditional and non-traditional abraded die varieties, explains how these varieties were produced, and devotes a full page to the description of each known date and mintmark for which that variety occurs. These varieties include the 3 and 3 1/2 leg, 2 feathers, and no F (missing designer’s initial). Descriptions include large photos, and a breakdown of the relative rarity, level of collector interest, and up to date values. Part Two is a fascinating study of every known variety of the 1914 4 over 3 overdate. Huge photos serve to illustrate the diagnostics of each die. Ron’s observations on each of the 8 known dies along with the representation of clear die markers overlayed on to the photos makes this section the best reference to this overdate I’ve seen. Part Three is essential to understanding the unique strike characteristics of the Buffalo nickel series. Excellent illustrations of weak, typical, good, and full strikes serve to educate the novice or seasoned collector. Here you will learn the difference between wear and a weak strike. The characteristics of Proof dies are illustrated as well. The strike studies of each individual date and mimtmark are dealt with in Part Four, an invaluable guide to your future purchases. In sum, Buffalo Nickels – The Abraded Die Varieties is a veritable gold mine for the Buffalo nickel cherrypicker. One look through this well written reference and it will be apparent how much Mr. Pope has widened the field of Buffalo nickel collecting. Back in 2004 I was living in Venice, Florida on the Gulf coast just south of Sarasota. My job as a department supervisor was turning out to be more lucrative than expected and so my coin collecting interests were enjoying a nice upswing. I had recently purchased a copy of David Lange’s “The Complete Guide to Buffalo Nickels“. Armed with the knowledge I gained from this book I began a short set of Buffalo nickels from 1934 to 1938 in MS64-65 paying particular attention to the strike quality of each individual coin. During my quest to complete this set I was frequenting a popular online coin collector forum which allowed me to correspond with other collectors of like mind on a regular basis. This was long before my first attempt at a formal blog, but even then I liked to write informative articles on my numismatic interests. I would often post a picture of a coin from my collection and then write about its characteristics, rarity, history, etc. At this particular time I was combining the new information I had gained from Lange with my own observations to write a series on Buffalo nickels. Some of the other forum members offered to contribute and it was at this point that I met Ron Pope. Now those of you who aren’t familiar with Ron probably don’t understand why I was so overwhelmed by his willingness to help with my little project. Ron had been studying and collecting the Buffalo nickel series for some 40 years when I first unknowingly contacted him under his forum name. To date he has published three books on the subject: “The Authoritative Reference on Buffalo Nickels” with Kevin Flynn and John Wexler, “Treasure Hunting Buffalo Nickels” with Kevin Flynn and John Wexler, and his newest book, “Buffalo Nickels-The Abraded Die Varieties“. Add to this Ron’s extensive contributions to the “Cherrypicker’s Guide” series and you can see why I was flattered. Unfortunately Mother Nature intervened that summer and three hurricanes one after another hit Charlotte Harbor, just 7 miles south of my home. The aftermath required me to relocate twice, open a new store in Punta Gorda, and generally abort my articles. The price is right and Ron will be happy to get a copy out to you fast. Be on the lookout for my review! John Hull’s second series of silver coins produced at his Boston, Massachusetts mint were the first dated coins in what would become the United States. This “Willow Tree” design is believed to have been produced from 1653 to 1660. It was determined that Hull’s simple “NE” coins were easy to counterfeit and prone to clipping because of the absence of a border to the design. Clipping was the process of cutting slivers of silver off the edges of coins and passing the now underweight coins at full value. On October 19, 1652 legislation was passed paving the way for the new design. The “Willow Tree” name was first noted in W.E. Woodward’s sale of the Joseph Mickley collection in 1867. These coins were very crudely struck, perhaps on a rocker press rather than by hand, the “tree” appearing as a mass of lines and squiggles that really doesn’t resemble any specific tree. The coins were struck in denominations of threepence, sixpence, and shilling with the obverse consisting of the tree in the center surrounded by inner and outer rings of dots. These rings are separated by the legend MASATHVSETS. IN. The reverse bears the date 1652 with the denomination in Roman numerals below. Inner and outer rings of dots surround, separated by the legend NEW ENGLAND AN DOM or a version thereof. The dotted rings were to provide some security against clipping. Throughout the life of the Willow Tree series the date remains the same. For some time it was believed this was to avoid English recriminations for unlawfully producing coinage in the colonies. Only England had the authority to mint coins, so the theory was that by keeping the date as 1652, Massachusetts could claim that the coins were produced when Oliver Cromwell was in power during the English civil war. Louis Jordan in his book “John Hull, the Mint and the Economics of Massachusetts” dismisses this story. He concludes from his research that the Massachusetts mint was not under any political pressure to close. Jordan believes it far more likely that the date simply commemorates the year of the coinage’s authorizing legislation. Though many experts disagree on several points regarding Hull’s Willow Tree coinage, they all agree on this: all are exceedingly rare. So rare that they are seldom seen even in larger collections. When they are encountered, well worn coins are the norm, a testament to their popularity in colonial Massachusetts. On May 27, 1652 an act was passed by the Massachusetts General Court providing for the establishment of a mint. Over the next few weeks the Court hashed out the specifics of the mint’s location and operation. It was determined that John Hull, a silversmith, would become mintmaster, along with Hull’s friend Robert Sanderson assisting. Controversy surrounds the actual reasons for the creation of a mint at this time. Phillip Mossman states in his incredible book “Money of the American Colonies and Confederation” that, “the mint came into existence as a reaction to the lightweight, counterfeit, and debased silver coins which appeared in New England very quickly after the initial settlements.” This might very well be the case because just a few years earlier it was discovered that the Spanish silver currency coming from the Potosi mint was consistently underweight. Considering that Spanish silver was the dominant medium of exchange in the colonies at this time, it could be very damaging to the early economy if corrective measures weren’t taken. At some point between September 1 and October 19, 1652 coinage commenced. The coins were to conform to a standard of 72 grains of sterling (.925) silver to the shilling, a shilling being equivalent to 12 pence. The New England coinage consisted of three denominations: threepence, sixpence, and shilling. On one side, now considered the obverse, was a hand punched “NE” at the 12 o’clock position. The reverse was punched with the denomination, represented by a Roman numeral III, VI, or XII. No date appears on this initial design from Hull’s Boston mint, the first of his four issues. In the July 5, 2010 issue of Coin World, staff writer Steve Roach gives an account of the early mint’s operations: “…people could bring in silver items, pay a refining fee and receive coins in return…” In this way, underweight Spanish silver may have been melted and re-minted, though at significant cost to the consignor. The simple NE design soon gave way to a more complicated design to deter counterfeiting and edge clipping. As to the longevity of the NE design, ask 3 experts and you’ll get 3 different answers. Some say the Act of Oct. 19, 1652 ended the design’s manufacture and heralded the beginning of production for what would become known as the “Willow Tree” design. Others believe the NE coinage was continued until 1654 when the mint evolved from hammer and punch technology to an actual coining press. 350 years separates us from the answer to that question. And isn’t that uncertainty, that need for speculation, a big part of the fun? When we think of early American coinage we have to broaden our definition of what we traditionally call “American”. It’s important to keep in mind that the United States mint in Philadelphia didn’t commence production of coinage for circulation until 1793, yet the North American continent was being populated by European settlers since the mid 1500’s. Foreign coins made up the bulk of metallic currency available in what would become the United States prior to the establishment of the Mint. In the 17th and 18th centuries, small change consisted primarily of British copper pence, halfpence, and farthings. Since it was against British law to export silver and gold to the colonies, this medium originated from the Spanish American mints of Mexico, Peru, and Chile for the most part. Coins from Portugal, France, Holland and elsewhere were also represented, though on a smaller scale. In everyday transactions Spanish silver was the most accepted currency. These were denominated in reales, with 8 reales being equal to the Spanish dollar. Divided into eighths (or bits), one reale was equivalent to 12 1/2 cents. Gold was rarely seen in colonial America but when encountered, would most likely hail from Brazil (the joe) or Mexico (the escudo). Spanish silver was so prevalent that throughout the early 1800’s it was still much more common as pocket change than the Bust and Liberty Seated coins produced by the Federal mint! The story of our own national coinage began out of necessity in 1652 in Massachusetts. We’ll pick up there in Boston, population 3000. For years I followed the collecting philosophy of “collect what you like”. What I ended up with was a hodgepodge of random coins from all over the spectrum: moderns, random 19th century type, the odd world coin, etc. It was clear my collection had no focus. So I began “filling holes”. This means concentrating on a specific series and attempting to accumulate each date and mintmark of that series, usually displaying them in a folder or album. These albums consist of individual spaces, or holes, for each coin, thus the term “filling holes”. If you were to poll 100 coin collectors, you would probably find that these two approaches are the most common. However, I was always disappointed with my “random accumulator” collection. There was plenty of variety but it looked amateurish. There was no theme, no common thread. Likewise, the “hole filler” collection was focused, but boring. Who wants to look at 74 Lincoln cents where the only difference is the date and the presence of a minute “D” or “S”? Please understand that I’m not condemning either method. Your collection is YOUR collection. Ultimately, the only person who has to be satisfied with it is you. But if you’re like me and have found your collection is lacking in some way, here are a few alternatives for your consideration. The type set is a classic. There are several ways to approach it, depending on the depth of your pockets. You can attempt it on a grand scale, acquiring one coin of each representative type in every denomination. For example, in Large Cents you would have one each of the Chain, Wreath, Liberty Cap, Draped Bust, Classic, Matron, and Braided Hair cents. Then you would move on to a Flying Eagle cent and one each of the different types in the Indian Head cent series, and so on. Many subsets can be accomplished in each denomination if completing the all encompassing U.S. Type set is out of reach. Pick a denomination, break out the Red Book for the different design types, and let the hunt begin! These are cool to assemble and very educational as well. For this set you would pick a series, say Buffalo nickels, and then find examples in each grade: About Good, Good, Very Good, Fine, and so on up through mint state. You can rely on your own grading skills or a grading service (preferably PCGS or NGC). Once complete, you will have an excellent reference set with which to compare future purchases. For this you’ll want to get your Red Book out again. The idea here is to get one of each denomination for a given year. My mom was born in 1950 so I would find a Lincoln cent, Jefferson nickel, Roosevelt dime, Washington quarter, and Franklin half dollar from that year to complete the set. This may seem simple but pick a year like 1868 and you would have to include 10 coins, and that’s if you exclude the gold issues! Mintmarks were a relatively late addition to U.S. coinage, coming about in 1838 with the addition of an “O” to coins struck at the new branch mint in New Orleans. Collectors didn’t even pay attention to mintmarks for the most part until the 1930’s when “penny boards” included the Denver and San Francisco coins as separate representatives of a given year. This particular set would be similar to a type set but only coins from a given mint would be included. It could be large or small depending on the mint you pick. Again, the best reference to guide you would be your trusty copy of the Red Book! These are just a few suggestions but you can see there are many ways to spice up your collection. Don’t despair if you feel like you’re in a rut. With a little creativity, opportunities to diversify abound. My grandad got me started. We would sit for hours at his kitchen table going through mountains of wheat pennies, ever on the lookout for a 1909-S VDB. After he passed in 1975 I continued to fill those blue cardboard Whitman folders with pennies from circulation. Back then wheat pennies were still plentiful and it took no time to fill a 1941-1974 book, each one a significant accomplishment for an 8 year old. Jefferson nickels were next. It hurt a little more to part with a nickel than a penny, but it was still easy to fill that blue Whitman folder. Even that tough 1950-D could be found in pocket change with some searching. At some point I discovered “Coins” magazine. All the different designs from the past 200 years were suddenly at my fingertips. I had no idea there was so much variety! No longer did I have to limit myself to what I could pull from change. My first mail order purchase followed shortly after, a well worn 1864 two cent piece and an 1868 three cent piece from Littleton Coin Company. I think the pair cost me seven dollars. That was a month’s worth of candy and comic books but those two coins were my pride and joy. After a couple of years randomly accumulating silver dimes, quarters, and halfs I got a summer job doing road repair. A steady paycheck expanded my collecting horizons significantly! I joined the Liberty Seated Coin Collectors Club and began receiving Seated dimes and quarters on approval. For the then extravagant sum of twenty dollars a month I became the caretaker of about 20 or 25 different dates and mintmarks before the money ran out. At today’s prices I really wish I’d held on to those! Life intervened. College, work, and family became the top priorities and my coin collection was pushed aside. The occasional AU Indian Head cent or Morgan dollar sufficed to keep my interest but there was no specific direction.To say that I was active in the numismatic world at that particular time would be a huge exaggeration. Once the job turned into a career, my longtime habit again moved to the forefront. I was able to own coins that had always been out of reach. Third party certification had arrived and with it more confidence to collect unfamiliar coin series’. I tried my hand at high grade coins for the first time. A set of MS63 to 65 1878 Morgan dollars with all the mintmarks and different reverses (7 tail feathers, 8 tail feathers, reverse of ’78, etc.) was the first accomplishment. Then I tackled a short set of mint state Buffalo nickels from 1934 to 1938. Mint state coins were beautiful sets to put together though very expensive. But when I put them next to my old Whitman penny books, those perfect shiny coins had no soul. They hadn’t passed from hand to hand over the years. They had no history, no character. So I went back to circulated coins. First the early 20th century coins, the Buffalo nickels, Mercury dimes, Standing Liberty quarters, and Walking Liberty halves. No high grades, just very fine circulated coins that saw some mileage. A group of circulated Standing Liberty quarters can tell a lot of stories. Now my collecting is all about the stories. My 1804 Half Cent, my 1787 New Jersey coppers, the ancient coins from Rome and Greece, they have stories. Some of those coins aren’t very pretty but that doesn’t matter. Like the ghosts of the boys in the old football photo from the movie “Dead Poet’s Society”, each one whispers of a different time, an exotic place, a life all their own. After writing my last post and doing some further reading about the state coinage of New Jersey, I began to actively seek examples online. I quickly found out that finding affordable specimens in decent grades is no easy task. But before I reveal the details of the coin I ultimately purchased after my lengthy search, there are a few things you should know about collecting New Jersey coppers and the people who collect them. The copper coinage of New Jersey came into being in 1786 as a solution to the abundance of counterfeit British pence and halfpence passing as good currency. Three men, Walter Mould, Thomas Goadsby, and Albion Cox, successfully petitioned the General Assembly to produce a coinage for the state, the coins to consist of 150 grains pure copper each and of a final total value of 10,000 British pounds. The coins would pass at 15 to the shilling rather than the usual 12 to the shilling as a legitimate British pence would pass. The coins were produced from autumn of 1786 to sometime in 1788. One of the draws to this series of coinage is that there are 141 die combinations so far identified. Collectors of early American copper coinage frequently collect by variety. Even if you collect the regular Federal issues of Half Cents and Large Cents, chances are you’re familiar with this philosophy of collecting. The many varieties of the 1794 Large Cent alone have been pursued as a set since the mid 1800’s. This method of collecting a series has always interested me because I love detail. Small differences between individual dies are significant to me, even though I recognize that many people couldn’t possibly care less. That’s how I found the Early American Coppers Club (www.eacs.org), a national organization consisting of about 1200 members who are just as crazy as I am. Their bi-monthly publication, “Penny-Wise”, is famous for its well researched articles, technical as well as historical. For only $25.00 I just became member #5858! Armed with my Whitman Encyclopedia of Colonial and Early American Coins (see my earlier post for a review and a link), I hit the internet and located the above coin on a world coin dealer’s website for only $55.00. This contrasted a lot from the U.S. dealer sites where similar examples of the same variety were priced from 160 to 225 dollars. The particular die variety of this coin is Maris 39a. Maris refers to Dr. Edward Maris who wrote the standard reference on New Jersey coppers back in 1881. The coin consists of obverse die “39” and reverse die “a”. The key diagnostics for obverse die 39 are the low second 7 in the date and the leftmost ear of the horse to the right of the C in the legend. For the reverse die you basically have to compare the location of the points at the top of the shield with where they are in relation to the letters of the legend. Thankfully, the Whitman Encyclopedia illustrates each individual obverse and reverse die with high quality photographs. My wife thinks I’m insane but I can’t tell you how much enjoyment I get being the caretaker of this 220 year old piece of history. I also can’t stress enough the importance of shopping around and educating yourself before making a purchase. This particular die variety is estimated to only have 500 to 999 examples surviving. Try purchasing a regular issue U.S. coin with that low of a surviving population for only $55! Early American Coppers: Where to Start? The more I learn about the early copper coinage of the United States and the operations of the U.S. mint at Philadelphia in its infancy, the more I am drawn to this area of coin collecting. And not just the Large Cents and Half Cents that we’re all familiar with. Pre-federal coinage and the chaos that ensued from general contractors petitioning individual “states” to secure minting privileges seems to me even more fascinating. There are many remarkable connections between the personnel responsible for some pre-federal coin series’ and the young Philadelphia mint. Damon Douglas in his book “The Copper Coinage of the State of New Jersey” presents evidence that the mint not only employed laborers that had worked in these pre-federal mints but on one occasion a die engraver was hired as an assistant who had earlier provided die work for New Jersey and Connecticut state coinage. Then there is the interesting Mr. Walter Mould. He, along with a couple of other equally interesting gentlemen, was the founder of the mint that produced most of the New Jersey coppers, the popular “Nova Caesarea” coins depicting a horse’s head and plow on the obverse and a shield on the reverse of 1786-1788. There is the very real possibility that Mould was convicted of counterfeiting in England in 1776, obviously prior to immigrating to what would become the U.S. Throw in a failed brewer (Samuel Atlee) and some other colorful characters for which their chronic inability to pay their debts is extensively documented in the newspapers of the day, and you have the originators of our early circulating coinage. To understand the death of Valentinian II in 392 A.D. we have to look at the events leading up to the pivotal year of 387. Remember that Gratian, Valentinian’s older brother, had elevated Theodosius to Augustus of the eastern empire in 379 in order to quell the Gothic rebellion in Thrace. Theodosius restored order quickly by providing the disenchanted Goths with food, shelter and land within the borders of the empire. By November of 380 vast numbers of Goths were also being recruited into Theodosius’ legions. Gratian showed favoritism toward the barbarian element in his armies as well, going so far as to hand pick his personal guard from members of the Alani tribes. Openly favoring these barbarians at the expense of his Roman colleagues lay behind a crisis that emerged in 383 when an imperial general serving in Britain by the name of Magnus Maximus was suddenly acclaimed Augustus by his fed up legions. Maximus promptly landed his troops in Gaul and defeated Gratian near Paris. Gratian was captured and murdered. Nothing stood between the 12 year old Valentinian and Maximus’ invading army. With Theodosius occupied with the Persians in the east, it was fortunate for the boy that Maximus was content to be acknowledged as co-emperor of the West for the time being. Too bad Valentinian’s mother, Justina, hadn’t brought up her son in the accepted state religion. Sixty years earlier Constantine the Great had assembled a large group of bishops to Nicaea to come to an agreement on the nature of God and the Christ. Through this assembly the branch of christianity known as Arianism was declared heresy and what became known as the Nicene creed was proclaimed the official Roman religious belief system. In 387, after repeated failures by the bishop Ambrose to convert the young emperor to the Nicene faith (failures due largely to the efforts of Justina), Maximus crossed the Alps to deliver the Empire from heresy. Justina and Valentinian fled to Thessalonica where they were joined by Theodosius who by this time was free of the Persian threat. In June of 388 Theodosius and Valentinian (now a man of 17) pursued Maximus to Aquileia where he was forced to surrender and put to death. The appointment of the Frankish general Arbogast to govern Gaul during the interim of Valentinian’s return to Milan was the final nail in the young emperor’s coffin. Theodosius and Valentinian traveled to Rome and then on to Milan. Early in 391 Theodosius returned to Constantinople and Valentinian traveled to Vienne to accept the transference of power in Gaul from Arbogast, the barbarian Frankish general. When it became clear that Arbogast had no intention of relinquishing power, Valentinian asserted his authority by issuing a written order demanding Arbogast’s immediate resignation. Arbogast refused, war was declared, and just days later Valentinian was found dead in his apartment. This ends the story of one of the most tragic figures in Roman history. Valentinian’s coinage, however, offers great variety despite his brief reign. His coinage and the coinage of Theodosius are the last bronze issues before artistry and legibility pass into miserable shadows of what Roman coinage once was. Take advantage of the affordability of these fascinating relics that predate the fall of Rome by only a few years. Before we set the stage for our story, here’s a $12.00 purchase I made a year ago that illustrates the central figure of the western Roman Empire from 375 to 392 A.D. This bronze follis of Valentinian II was struck sometime between 383 and 392 A.D. The bust of Valentinian appears on the obverse wearing a pearl diadem, imperial drapery, and a military cuirass. The legend around translates to “Our Lord Valentinian, Dutiful Emperor”. The reverse portrays the emperor dragging a captive to the right while holding a labarum inscribed with the christian “chi-rho” symbol. The surrounding inscription celebrates the “Glory of the Romans” with the mintmark for the 1st officina (workshop) of Siscia, a town in what was once Yugoslavia, below. Until 383, Valentinian ruled the western empire jointly with his older brother Gratian. Because of Valentinian’s age, his mother Justina ruled in his name. Back in 379 a huge uprising of Visigoths in the east, along with the ever present threat of the Persian empire, prompted Gratian to elevate Theodosius, a successful general, to emperor of the eastern empire. Theodosius was replacing the former eastern emperor, Valens, who had caused the Gothic unrest and lost his life in an attempt to restore order. Unfortunately, Gratian would institute a very unpopular military policy that would contribute to Valentinian’s fate. Theodosius would perpetuate that policy while cleaning up the mess created by Valens, inadvertently putting into motion the events that would lead to the sack of Rome in 408 A.D. and the downfall of the empire. Justina would provide the final excuse an usurper would need to get the ball rolling: religion.